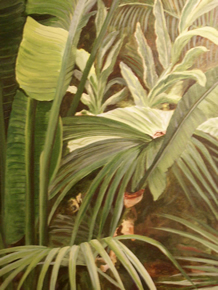 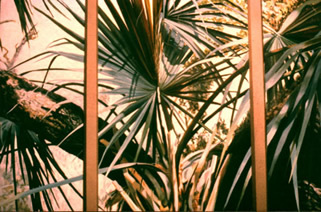 The beauty of tropical foliage will always be favored in Florida and was the inspiration for “A Tropical Triptych”, a three paneled painting, and “Tropicals Up Close”, also done on canvas. 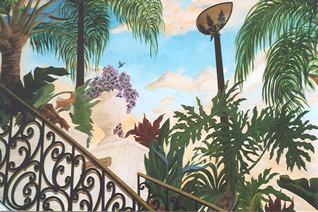 Tropical foliage found its way into a more classical setting in the “Bellini Mural”. 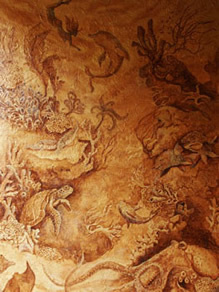 Please click on each picture to view a larger image.